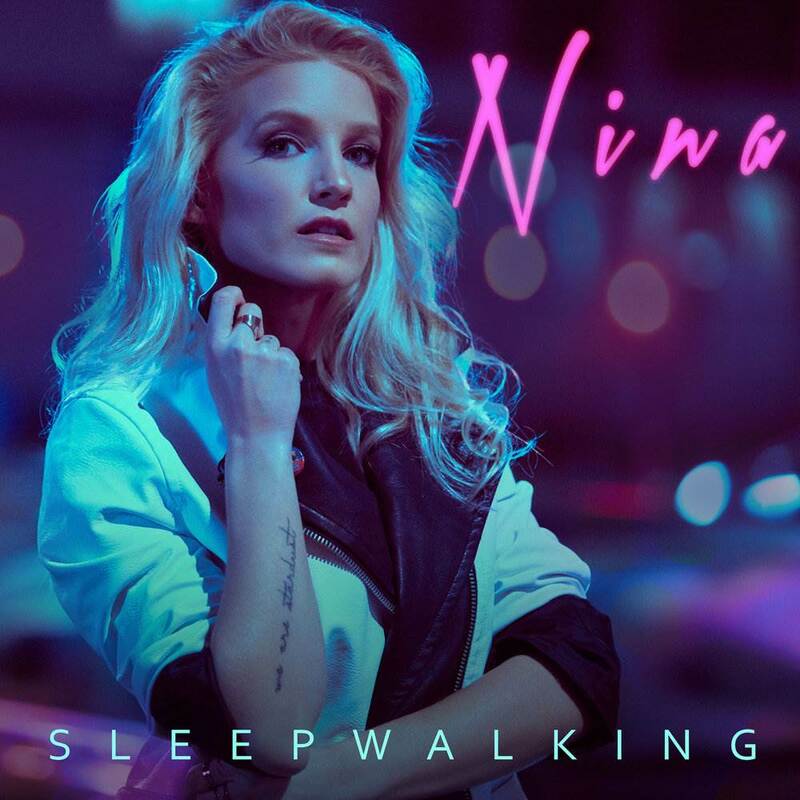 NINA - Sleepwalking (Review) - NewRetroWave - Stay Retro! | Live The 80's Dream! Through her handful of tracks released since the start of the decade, NINA has proven her ability to deliver the goods when it comes to outrun-inspired pop singles. Having been announced shortly after the release of her last EP, Sleepwalking marks the debut album release we’ve been expecting the German-born pop singer. As her first firm step into the spotlight with an eleven track full-length, NINA plays to her strengths. In other words, Sleepwalking amounts to pretty much what you were first led to expect from the One of Us EP: a concise, catchy pop record driven by the sounds of eighties synths and beats. Just about every aspect of the record radiates with references to the eighties aesthetic, supercharged with modern techniques to sound and look bigger, brighter and more glossy. 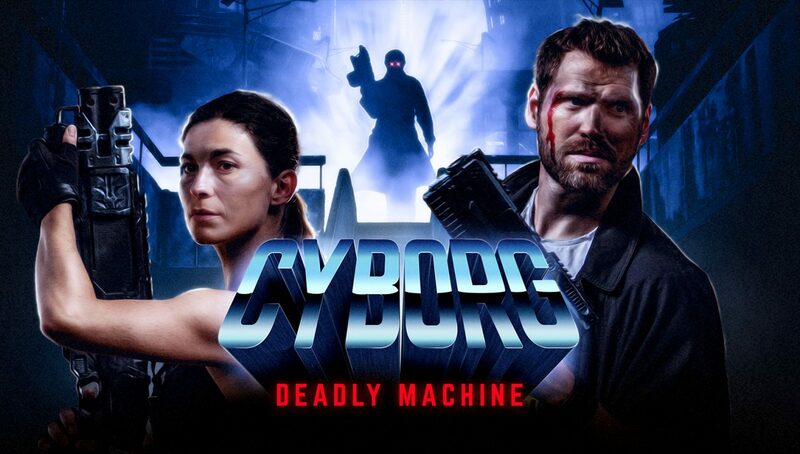 Of course, this certainly isn’t new to the Synthwave aesthetic. As a matter of fact, some might argue that this approach is intrinsic to the genre. What does stand out Sleepwalking, however, is the skill and rigour with which these tracks are crafted to sound this way. NINA’s Sleepwalking is to eighties music what K-pop is to American pop music. Stylistic conventions are picked apart and techniques are internalised and down to a science to filter every single element down to its most potent form. Synthwave fans will have a hard time finding a release in the genre that comes close to Sleepwalking’s impeccably clean, punchy production. The thumping beats, the colorful synth layers and the vocals all blend together organically to create a vivid, cinematic ‘neo-retro’ atmosphere and experience. NINA’s voice is radiant, her melodies irresistibly catchy and her performance spot-on throughout the entirety of the record. Every single track on the record feels like a lead single: from the opener right down to the last song, the album stays geared towards maximum efficiency and does a great job at maintaining the energy throughout its eleven numbers. As though the album covers and the clear nod to Nicolas Winding Refn’s Drive didn’t make it obvious enough, Sleepwalking is a driving record, steadily paced so that you can jam to it on a lonesome nighttime cruise across asphalt jungles and starlit highways without having to ever skip a track. Alas, the album’s ‘driving’ pace does narrow the records’ sound down a little too much, as the steady the side-chained kick pulse ends up being a little too constant. Rhythm and tempos fluctuate smoothly but timidly, which may leave some yearning for a sudden gear shift to pump up the adrenaline. A few louder, cathartic moments on the album could have helped spice things up, though that is not to say that what Sleepwalking does is not done brilliantly. Overall, NINA’s first full-length effort amounts to a very solid set of instantly likeable pop songs that spares nuance yet delivers a deeply immersive experience. Turn it up but drive responsibly.